Blessed with a smooth, melodic voice and an impressive innate writing ability that can capture a story like no other, Pressure is poised to dominate the Reggae audience of the world. Called Pressure by virtue of the hard times and daily struggle we all face, this artiste is dedicated to consistently deliver a message to teach the people through his music. Born Delyno Brown on August 5, 1981, Pressure was exposed to music at a young age due to his father being a member of a popular local band. He started playing drums and trumpet at age 9, but it wasn’t until age 12 that he developed a passion for singing. Pressure Buss Pipe rose to popularity in the Virgin Islands and in regional and national reggae circles as a member of the Star Lion Family reggae group, a group of young men that brought several V.I. communities together through their music. The group was in high demand and they opened for top acts such as Capleton, Buju Banton, Bunny Wailer and Junior Reid among others before splitting. Pressure Buss Pipe gained further experience as an opening act for Sizzla and Elephant Man. Leaving the VI to “represent his country to the fullness to the rest of the world”, Pressure linked with the talented Dean Pond and Eno Stafford of Studio 340. Together they produced and released his debut album, The Pressure Is On, on the Tsuni Records label. The album did very well on the West Coast and in the Caribbean. This is evident in the fact that the album had thirteen tracks; at least eight of which, appeared on various music charts in these territories. With hit tunes on the album such as Zion Is Home, No Limitation and Light In You, it is no surprised that he garnered the attention of internationally renowned producer, Don Corleon. Corleon received his copy from Pond. Corleon admits wholeheartedly that “he kept listening to the CD” and he put his best foot forwards and got in contact with Pressure. The synergy between the two, birthed the mega-hit “Love and Affection”, which was the first song they recorded together, which immediately took the airwaves by storm. The music video was shot by famed director, Ras Kassa, and has been in rotation on cable stations. He has invested a lot of time in his craft to ensure success in the Jamaican market. He is honest enough to admit that he mastered his craft by studying the music of Reggae icons: Sizzla, Capleton, Buju Banton, Beres Hammond, Bounty Killa and Beenie Man. “I developed my sound. I learned the pronunciation of certain words and the slangs and twangs,” Pressure commented. My accent and my background set me apart in the industry. I mean, I also have the support of the people of the VI as they have never had a Reggae artiste excel,” he said. “I write everything myself and I am inspired by Reggae. 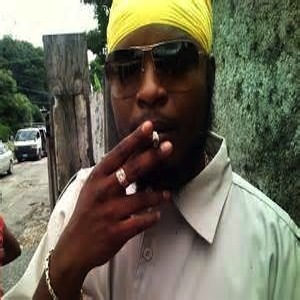 Pressure Buss Pipe definitely is destined to be a force to be beheld in the Reggae industry. His life path has led him to join alliances with and thus be managed by one of the most influential persons in the Reggae/ Dancehall industry, Don Corleon. Nothing’s greater than life. You have to follow your dreams no matter what, ‘cause I wondered if I would ever be accepted in Jamaica. But I was focused and I was determined to put out good music and the people have received and they aren’t biased. Just don’t let anything get in your way.